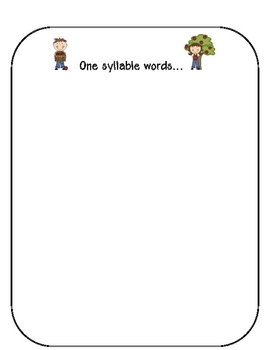 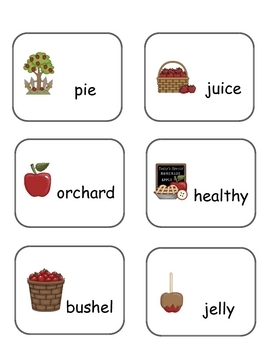 During our apple week, our first graders will look at the apple words on the cards. 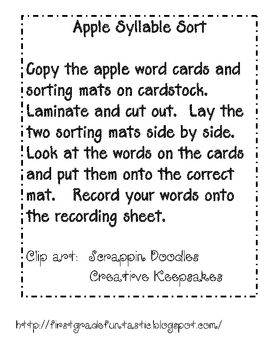 They say and clap the words and will separate the one or two syllable apple words onto the correct mat. 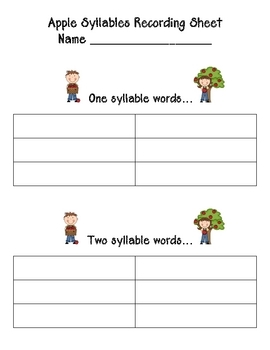 They will then record the words onto the recording sheets.